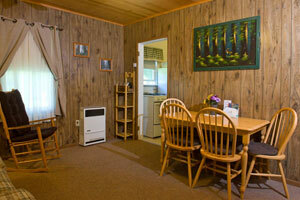 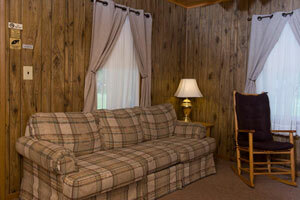 Cabin #1 features a living room with a sofa, flat screen TV and DVD player and dining table and chairs. 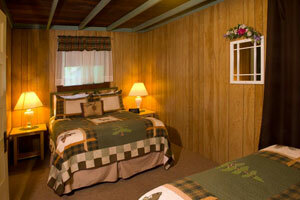 The bedroom features 2 double beds. 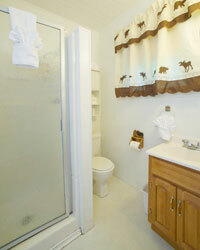 The bathoom has a shower. 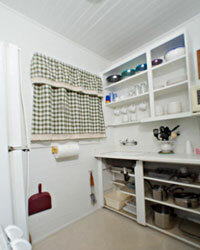 All linens are provided. 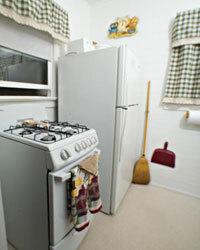 The fully equiped kitchen includes a stove, 2 door refrigerator, microwave, toaster, coffee maker, crock pot, dishes, pots, pans, and all the utensils that you will need. 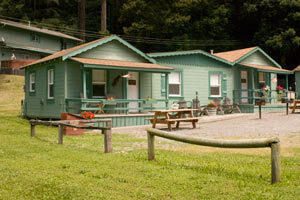 It also has a charcoal BBQ and picnic table.